A classic diamond band solitaire featuring an emerald cut sapphire. 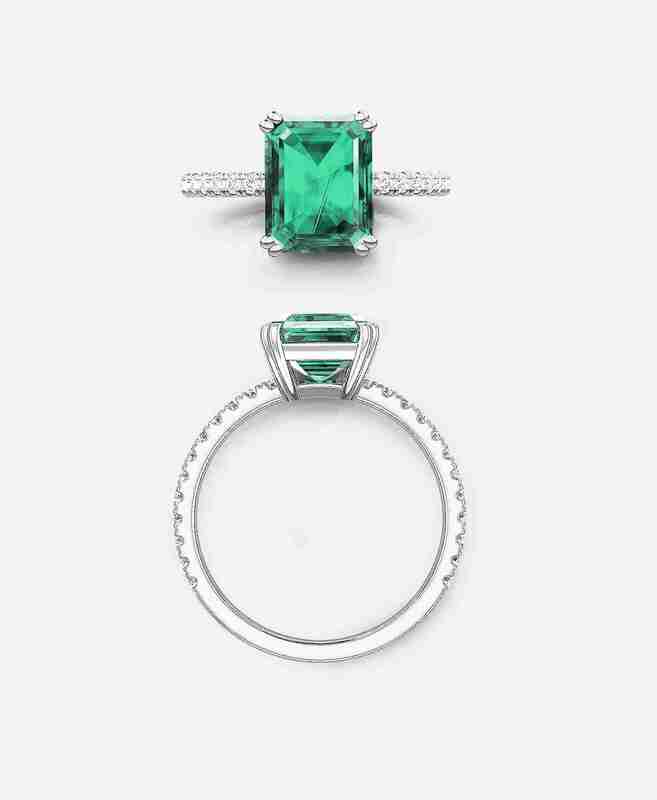 Set here with a 2.1 carat vivid green, emerald cut emerald, set entirely in platinum. $3,550.00*NZD, Excluding GST. Duty Free Available. Fill out the form below and we will provide you with a range of options - usually within a few hours. Platinum, yellow gold, white gold & rose gold. Read more on precious metals. How the process works when working with us. 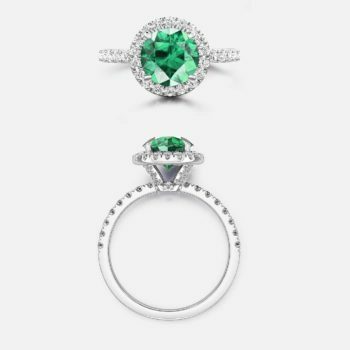 Our mission statement at Guthries Jewellers is to produce beautiful jewellery that is made to last a lifetime. 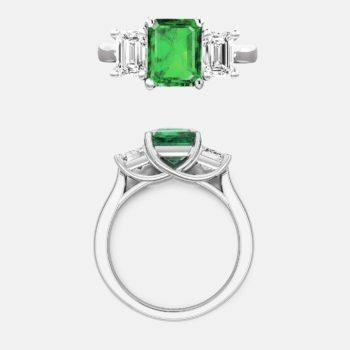 Every item of jewellery fabricated in our workshop is crafted to the highest possible standard, and is free from faults and defects. 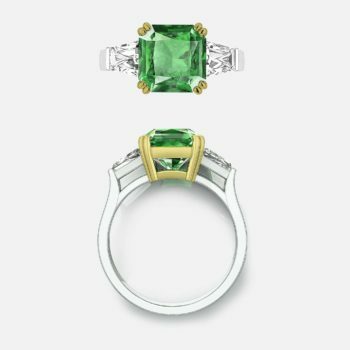 To give you peace of mind, we offer a lifetime warranty on all craftsmanship and materials supplied by Guthries Jewellers. We stand by this guarantee for all our jewellery inspected by our jewellers yearly.